Last July I forgot something. Nearly exactly a year ago, at the tipping point between early- and mid-December, I forgot to go Christmas shopping. There must have been something good on TV. Every year, faced with the prospect of engaging in pitched battle with my fellow shoppers throughout the month of December, I seem to make the resolution to do all the shopping in July, thus freeing myself from active duty and sparing myself more bloodshed. But now, conditioned as I am by the plangent strains of seasonal piped-in musak which insinuates its ineluctable Christmas music through radio and digital channels, I suddenly realize that I am five months late for Springing into Action. My plan has failed, and I must to war. It is a strange sort of war that awaits us. We will sit all day in offices and at desks, waiting for the moment to Rise to the Occasion. From different vantage points all over Belgrade, we converge on the bridges. From the center, we drive urgently to reach New Belgrade. From New Belgrade, we light out for the center. 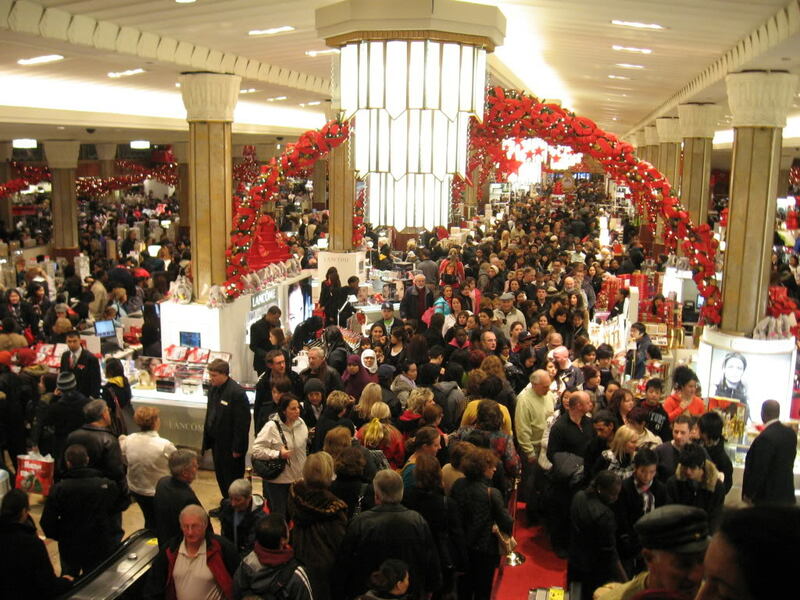 No matter where we are, when it comes to the moment of shopping, we are in the WRONG place. We must reach the bridges. Most of the war is about sitting in traffic. Sun Tsu never mentioned anything about this. Once we come ashore in the shopping zone – the Ušće Shopping Center for example – it is then that all of our planning and research are thrown out the window. At 18:00, the shopping battlefield is fully populated with what seems to be 78% of Belgrade. People are pushing in every direction with a great deal of force. Elbows and shoulders are employed to cut paths through the throng. No matter where you want to go, 180 people are stridently streaming the other way. You duck into Terranova to regroup. What always strikes me when I stand back and look at this fearful scene is how completely oblivious everyone seems of everyone else. No eye contact is ever made. No “excuse me” is ever heard when a hundred kilos of shopper’s foot lands on yours. We lose all notions of living in a society or a civilization. Opening the door to enter one shop, I was met by thirteen people who glided out the door without a passing glace at me as I held it open, as if it were my role to make the way clear for them. I finally interposed myself and went in, but it was not without getting a lot of angry noises and glares. How dare I interrupt their flow and progress! A passerby, in a rush, allowed his scarf to fly off his neck and fall onto the floor. I saw it and called out, indicating that he should pick it up. He looked, took it, and carried on – no thank yous or acknowledging nods. Again, I fulfilled my role in his universe by making sure his wardrobe did not fly apart. Why should he think anything more of it? individuals on the road. They are the ones who suddenly park in the middle of the road. They swerve in and out of lanes to get a 0.2 second advantage over the rest of traffic. These are the same people who shrugged off all responsibilities of society when they heard the call to shopping battles. I will surely meet them again tomorrow in the next Christmas offensive. But maybe with strategically placed blinders and elbow pads I can march through them. This entry was posted in Essays and tagged battlefield, Belgrade, Chris Farmer, politeness, shopping, society, The Standard Deviation, Traffic, Ušće. Bookmark the permalink.